At the Ecumenical Patriarchate’s initiative, the representatives of several local Orthodox Churches gathered in Paris for consultation regarding their participation at the Conference of European Churches General Assembly that will take place in Novi Sad, Serbia, on May 31 – June 7, 2018. 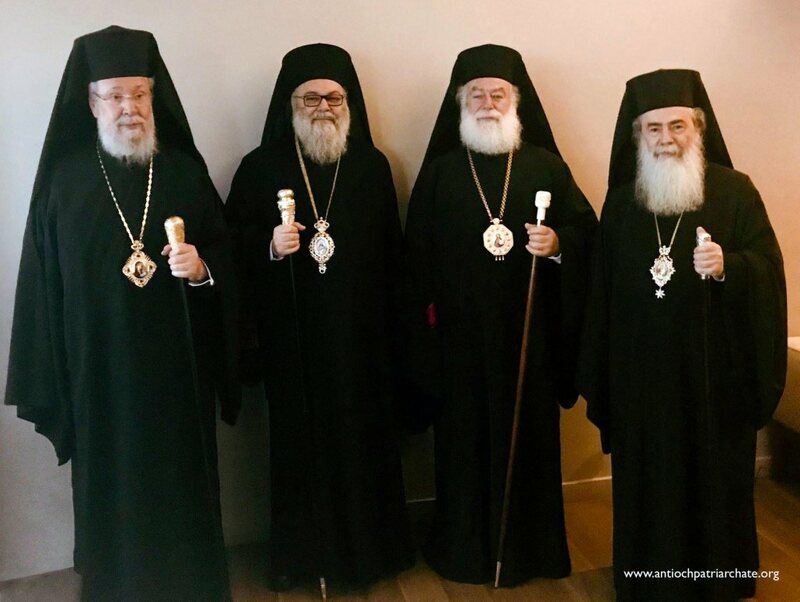 Attendees at the April 19 meeting included Metropolitan Emmanuel of France (Ecumenical Patriarchate), Metropolitan Joseph of Western and Southern Europe (Romanian Patriarchate), Metropolitan Gabriel of Nea Ionia (Church of Greece), as well as other Orthodox officials. Please find below the communique issued following the CEC Pre-Assembly consultation in Paris. 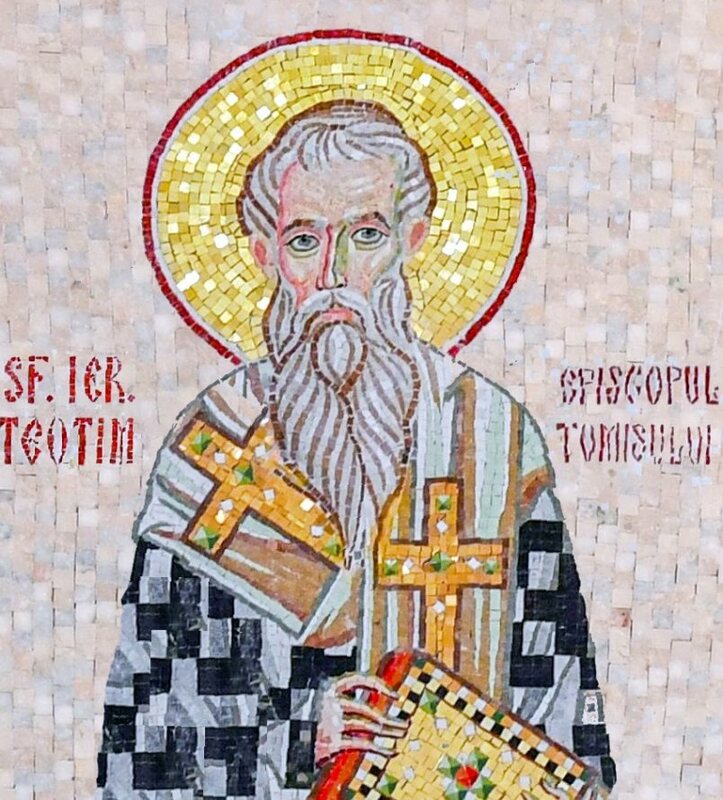 Christ in Risen! Le Christ Ressuscité! Christos Anesti! Hristos Voskrese! Hristos a înviat! 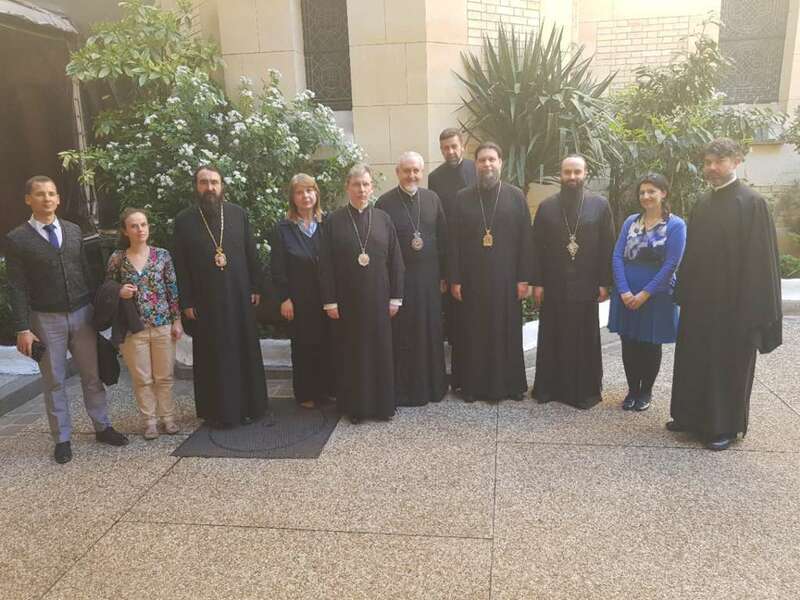 In the light of the Paschal period 19 of April 2018 representatives from the Orthodox Churches from the Ecumenical Patriarchate, the Serbian Orthodox Church, the Romanian Orthodox Church, the Church of Cyprus, the Church of Greece, the Polish Orthodox Church, and the Orthodox Church in Finland met at the Metropolis of France of the Ecumenical Patriarchate in Paris. The consultation covered briefing and exchange in the run up of the CEC upcoming General Assembly, taking place from 31 of May to 7 of June, 2018 in Novi Sad, Serbia. 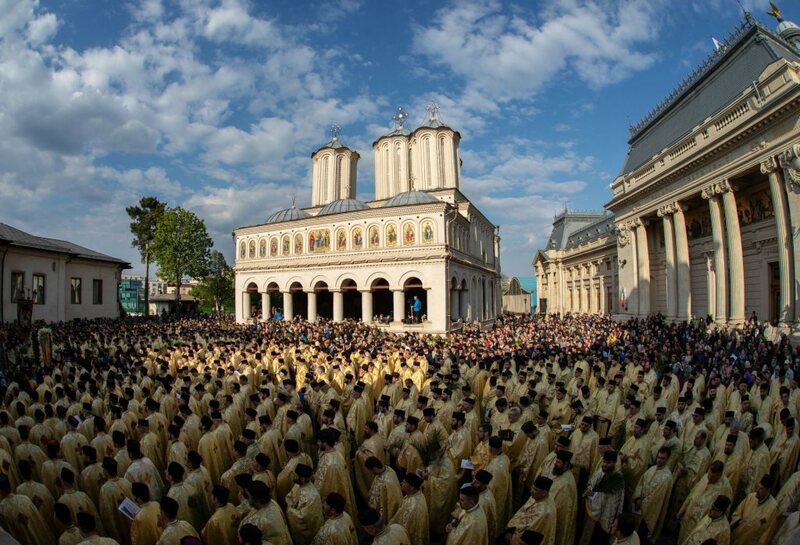 The Assembly will be hosted by the Serbian Orthodox Church and other Protestant minority churches in Serbia. The introduction to the overall theme of the CEC Assembly in Novi Sad “You shall be my witness” was made by His Eminence Metropolitan Emmanuel of France, Vice President of the Conference of the European Churches and Ms. Catharine Tsavdaridou, one of the Orthodox members of the Assembly Planning Committee. Orthodox Church representatives went through the existing program devoted to justice, witness and hospitality. The central theme of the Assembly is the debate on the Future of Europe, which will contribute to the definition of the political aims and objectives of the work of the organization in the upcoming 5 years. They were informed about expected legal changes of the existing CEC constitution, which needs to be harmonized with the Belgian law on international non-profit associations (ASBL). 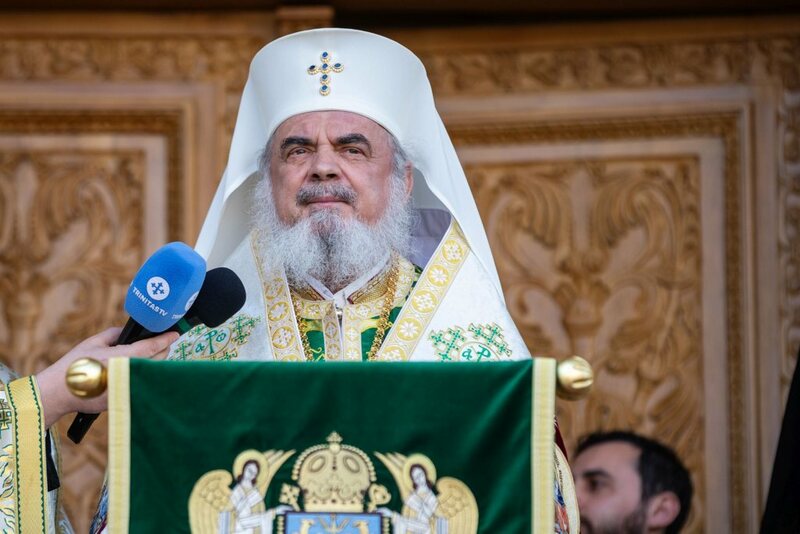 The Orthodox representatives noted, the importance for the united Orthodox voice to be heard at the CEC Assembly, as the Orthodox Churches constitute 25% of the CEC membership. The thematic issues, which were brought at the table and discussed, were refugees and migration, ecology and climate change, social issues, religious freedom or belief, bioethics ect. 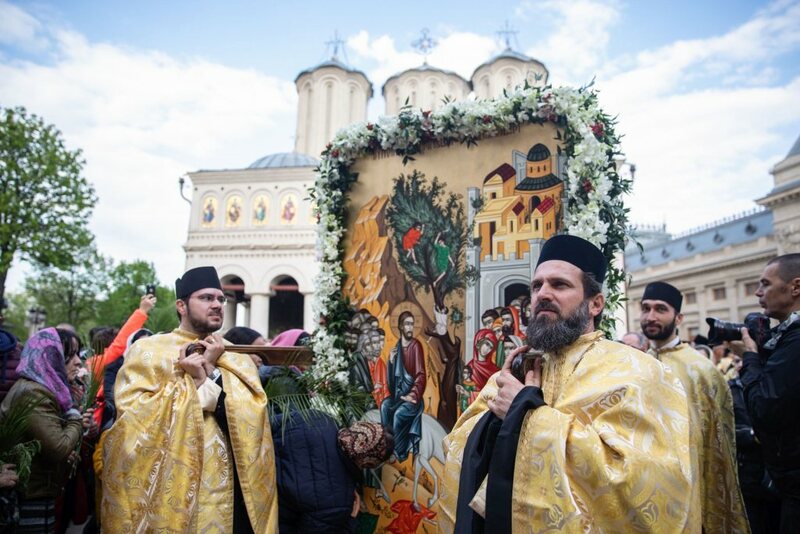 The care for the human person, human dignity and protection of human rights for refugees and migrants remains the central issue for the Orthodox Churches, as well as the work done in integration process. Metropolitan Gabriel from the Church of Greece stressed the need of helping the migrants, refugees and asylum seekers, to find their role in the new realities, and the important role from the Orthodox Theological perspective as a basic context towards human personality. The Churches are providing the society with a tremendous ministry, in order to decrease racism and xenophobia, as they provide legal and practical assistance to the people and children in need. Representatives stressed the importance of the ecumenical work to continue on political and legal advocacy for the protection of human dignity vis-à-vis the European institutions. The support for the continuation of the ongoing theological dialogue and ecclesiology were expressed. The local coordinator of the CEC Assembly, Mr. Danilo Mihajlovic, from the Diocese of Backa, of the Serbian Orthodox Church, gave the update about local matters and Rev. Fr. 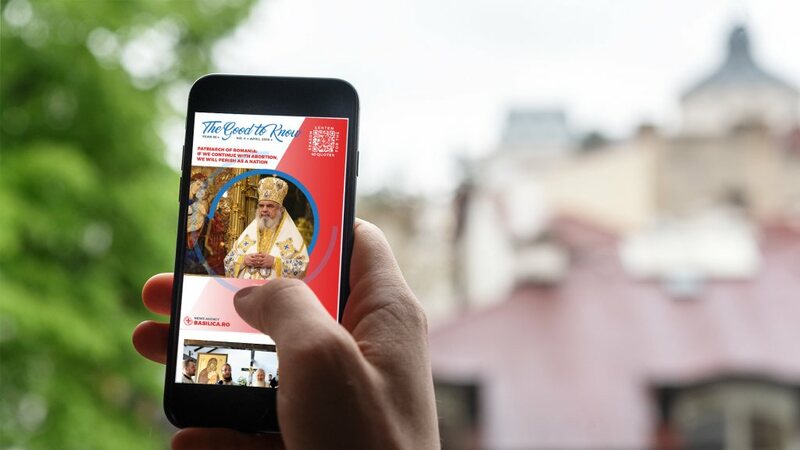 Miodrag Andric, local Orthodox member of the Worship Committee, gave a report regarding the work done so far in reference to the worship activities foreseen during the days of the CEC Assembly and Bible studies. The representatives expressed their gratitude to His Eminence Metropolitan Emmanuel of France and to the Ecumenical Patriarchate for convening this meeting and their appreciation to the Serbian Orthodox Church for hosting the upcoming General Assembly.